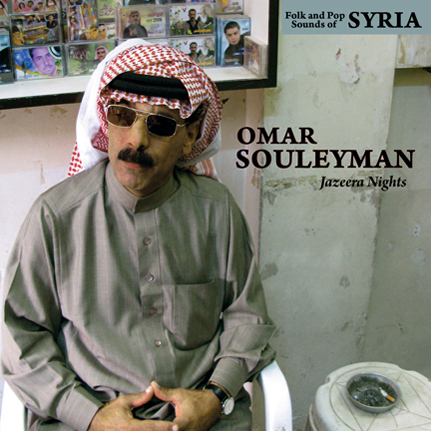 Sublime Frequencies is honored to present Omar Souleyman's third Western collection on disc. This retrospective features live recordings spanning 15 years of Omar's tireless repertoire, and is rife with frenzied Syrian Dabke (a regional folkloric dance and party music), Iraqi Choubi and a host of Arabic, Kurdish and Turkish styles, among others - an amalgamation that exemplifies the musical essence of Northeastern Syria. Culled from cassettes recorded between 1995 and 2009, this collection offers a further rare glimpse into Syrian street-level Dabke folk-pop – a phenomena seldom heard in the West, not previously deemed serious enough for export by the Syrians and rarely, if ever, included on the import agenda of worldwide academic musical committees. Over the years, Souleyman's popularity has risen steadily and the group tirelessly performs concerts throughout Syria and has accepted invitations to perform abroad in Saudi Arabia, the United Arab Emirates and Lebanon. In 2006, Sublime Frequencies partnered with Omar to release "Highway to Hassake", the first compilation of his works to be issued in the West. The success of this release and the video for the song "Leh Jani" helped see Souleyman and his group invited for their first Western tour in 2009 alongside label-mates Group Doueh from the Western Sahara. This successful tour quickly elevated Souleyman to the status of an international legend – and deservedly so. This release coincides with the beginning of Omar’s 2010 international tour in May which will take him to the UK, the European mainland, and hopefully the US and Canada. RECORD STORE DAY LP VINYL EDITION / CD features a full color 8-page booklet; both with great photos, a general overview of the lyrics translated into English and liner notes by compiler Mark Gergis.